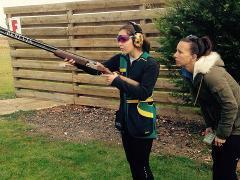 A 2 Hour coaching session with Lauryn Mark is suitable for licensed/experienced shooters or someone wishing to get involved in the sport. 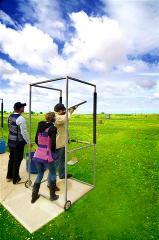 These sessions are about focusing on the technique and fundamentals of Clay Target Shooting. 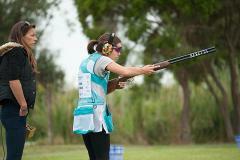 A 3 Hour coaching session with Russell Mark, Olympic Gold Medallist is suitable for licensed and experienced shooters. Russell will help with your equipment, technique and mental game where required. 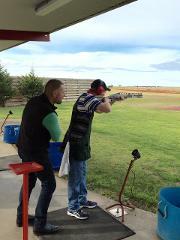 A 2 Hour coaching session with Russell Mark, Olympic Gold Medallist is suitable for licensed and experienced shooters. Russell will help with your equipment, technique and mental game where required. A 3 Hour coaching session with Lauryn Mark is suitable for licensed/experienced shooters or someone wishing to get involved in the sport. 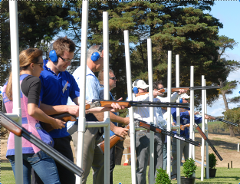 These sessions are about focusing on the technique and fundamentals of Clay Target Shooting.